For the last five years or so, much emphasis has been placed on reducing radiation dose from CT exams. The issue became well publicized in 2009 when patients in California undergoing CT exams received excessive radiation dose through apparent human error. While radiologists and others still debate the extent of the risk of repeated CT scans, societies and equipment manufacturers have been working diligently to reduce unnecessary exposure from CT.
PET scans and PET/CT can expose patients to even more ionizing radiation than CT alone. Yet dose reduction in PET, including PET/CT, doesn't get nearly as much attention, says Dominic Siewko, radiation health and safety officer at Philips Healthcare. 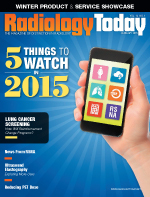 Radiologists and imaging manufacturers believe this lack of attention exists for a couple of reasons. One reason is the way the PET imaging and nuclear medicine industry works; one company manufactures the cameras used in PET scanners and another the radiopharmaceuticals needed to operate them. "When you look at CT dose, everything is managed by the manufacturer of that machine," Siewko says. "But with PET, it's a little harder because you have two different industries." Also, Siewko points out, when it comes to regulation, two different agencies are involved. The FDA oversees radiation dose from the X-ray side while the Nuclear Regulatory Commission oversees the radiopharmaceuticals that are injected during a PET exam. As a result, establishing criteria for dose reduction protocols requires much more coordination and oversight than CT alone. Another reason, says Richard L. Morin, PhD, a biophysicist at the Mayo Clinic in Jacksonville, Florida, and chair of the ACR's Dose Index Registry, is that nuclear medicine is different from CT so "there's only so much you can do." CT dose is dependent on the patient's size and can be carefully calculated based on his or her body habitus and what body parts need to be clearly seen on the images, Morin notes. However, he says everyone metabolizes radiotracers used in PET differently, and it's impossible to predict. The short half-life of the most commonly used PET radiopharmaceutical, FDG, also presents a challenge when trying to reduce dose, he adds. Furthermore, Morin says, there's little incentive for radiologists performing exams to lower PET radiation dose. "The less you inject, the longer it's going to take to collect the data," he says. Lowering PET dose can affect throughput and department efficiency for little if any gain. Additionally, says Satrajit Misra, senior director of the CT business unit at Toshiba America Medical Systems, manufacturers of the radiotracers charge facilities the same price regardless of the amount of the dose. They claim their costs are the same to manufacture a one-half dose as for a full dose, Misra says. Thus, the operators have no financial incentive to use a one-half dose because they will pay the same as for a full dose and the exam will take longer if they do. Yet another issue is that it's more complicated and expensive to develop PET technology that affords dose reduction than with CT equipment, Siewko says. Despite the financial and logistical disincentives, lowering dose on the PET side has been a priority for equipment manufacturers and radiologists concerned about what's best for the patient. "Reducing radiation dose in PET has been a growing concern, absolutely," says Regis Monticelli, product marketing manager for the PET/CT product line at Siemens Molecular Imaging. Reducing dose on all exams, including PET, has long been a priority for GE Healthcare, says Wei Shen, global general manager for PET/CT at GE. "The blueprint we have outlined for dose reduction with CT is something we follow in the hybrid modalities including PET/CT as well," she says. In the last couple years, all major manufacturers of PET and PET/CT scanners have introduced technology that can lower the dose required to produce a quality exam. Their approaches vary. To reduce dose on the PET side, it is necessary to increase the sensitivity of the cameras, Siewko says. To increase camera sensitivity, "you need to remove some of the components that introduce noise to the system," he explains. "When a photon hits the detector, the detector creates light. If you can create more light per photon interaction, and reconstruct the image with less noise, those two things combined will create an increased sensitivity of the camera. If the camera is more sensitive, you need less activity in the patient to create the same image." At RSNA 2013, Philips introduced its Vereos PET/CT, the first fully digital PET/CT system in the United States. "A purely digital PET/CT allows you to remove components that create noise," Siewko says. "That's a huge jump forward, producing about two times the sensitivity gain, volumetric resolution, and quantitative accuracy compared to an analog system." Siemens seeks to reduce the time the patient is in the PET scanner. Siemens introduced its new Biograph mCT Flow PET/CT scanner with FlowMotion technology at the 2013 SNMMI annual meeting. Traditionally, patients undergoing PET/CT are scanned in segments, Monticelli says. The table on which the patient lies advances into several preselected positions. Because each bed position is the same, often data are collected over a larger area than needed. As a result, the scan takes longer and the patient is exposed to additional CT radiation needed to correct the PET data for attenuation. With FlowMotion, the patients are on a table that constantly moves through the detector ring so they can be scanned "as a whole" rather than in segments. The operator is able to tailor the scan to fit the needs of the patient and the study. In its single pass, FlowMotion can collect both high- and low-resolution data. Protocols are built into the scanner so that when specific organs or body parts of interest come into the field of view, more counts can be gathered at a higher resolution. The table speed can be adjusted so that it moves faster when images of areas of lesser interest are being acquired. "Thanks to the variable speed of the table, you can acquire high-resolution images in a single scan, optimize the overall scan time, and minimize patient exposure to CT radiation," Monticelli says. Yong C. Bradley, MD, an associate professor of radiology at the University of Tennessee in Knoxville, which acquired Biograph mCT Flow in 2013, says it allows the department to do a dedicated lung PET on patients at the same time as doing the whole body. "Previously we had to do the whole body and then do a high-resolution image of the lungs," he says. "Now we can do one pass instead of two, which means less radiation and less time, and with excellent image quality." At the University of Tennessee, patients regularly undergo FlowMotion studies for pulmonary nodules, melanoma, liver lesions, and lymphoma. The new technology also is being used in research for an experimental treatment for liver cancer. The researchers are able to visualize and quantify doses of radioactive microspheres. Toshiba is working to reduce dose with both hardware and software improvements. It showcased its new PET/CT scanner, the Celesteion, at RSNA in November. The Celesteion comes with Toshiba's most advanced CT dose reduction technology, AIDR 3D, Misra says. AIDR 3D reduces noise in the acquired projection data by applying a statistical noise model and a scanner model. Also, noise components are selectively extracted when reconstructing the image using an anatomical model. On the PET side, Misra says, "the first thing you need to reduce PET dose is extremely fast detection electronics." Celesteion guarantees fast imaging times thanks to its 450 picoseconds time-of-flight (TOF) resolution for PET and 32-slice CT scanning. Misra explains: TOF is a technique for measuring the difference in arrival time between the two coincident gamma photons. A conventional PET system localizes the target to a straight line between the two detectors. TOF-PET more accurately determines the location of the target by measuring the time difference between the two coincident gamma photons. "The Celesteion system has an excellent temporal resolution of less than 450 picoseconds. Performing image reconstruction based on more accurate time measurements results in clearer PET images at lower doses," he says. GE Healthcare also is making hardware and software improvements to enable operators to reduce dose on its PET/CT scanners. GE's newest PET/CT system is its Discovery IQ PET/CT, which received FDA 510(k) clearance in September 2014. It is designed to be the most sensitive to injected dose activity, Shen says. "The key is how much of the injected dose signal you can capture," she explains. "The higher the sensitivity, the more counts you can capture and the better the image you can create. The faster the scan you can make has a direct correlation to how low you can go in terms of the dose. That's a premium in our mind, if you are able to buy lower dose and shorter scan times." On top of the improved hardware, GE offers a full convergence PET iterative reconstruction algorithm, Q.Clear, designed to improve image quality and quantitative accuracy so users can obtain better images and accurate measurements at a lower dose, Shen says. GE also introduced a solution that enables users to reduce CT dose when performing CT within PET/CT studies. For most PET/CT scans, the CT is used for attenuation correction (AC). "So we have introduced a CTAC iterative reconstruction called Q.AC, which allows you to reduce your CT dose from a typical 7 to 8 mSv down to 0.3 mSv—that's about a 20 times reduction in the CT exposure when you don't need a diagnostic purpose CT," Shen says. "That's unique to GE and a way that we're trying to reduce not only the PET side of the dose but also the CT side of the dose for both diagnostic and nondiagnostic exams with ASiR and Q.AC." At its highest configuration, the Discovery IQ PET/CT has a National Electrical Manufacturers Association sensitivity of 22 counts per second per unit of dose (kBq). The average on the market is five to seven counts per second, Shen says. "At 22, that's three to four times the ability you can reduce the PET injected dose." That's how GE is able to say that with its system users can scan with half the time and half the dose, she says. "Or, if you just want to lower your dose, then you can achieve the same quality scan with a quarter of the dose." When imaging at low doses, the CT beam may not be strong enough to fully penetrate through the patient and reach the CT detector in all projections. Incomplete CT data can cause inaccurate attenuation measurements, leading to variations in PET standardized uptake values. GE's Q.AC technology is designed to maintain accurate Hounsfield unit numbers even at ultralow-dose CT techniques for PET/CT applications. Hounsfield units are a way to characterize radiation attenuation in different tissues and make it easier to define what a given finding may represent. "This technique enables the delivery of consistently accurate and reproducible CTAC and PET/CT fusion even at low doses," Shen says. Ken Denison, GE's molecular imaging and CT dose leader, says GE also looks at helping facilities implement policies and procedures that result in dose reduction on all modalities. "It isn't as simple as handing them new technology and saying 'good luck.' It really is about how you use this new technology, how you put measurements, metrics, processes, and procedures in place to make sure you use the new technology. It's also about how you fight the biggest obstacle here, which is variation amongst your technologists and variation amongst the different devices," Denison says. The Discovery IQ has been installed since July at the Institut Univeristaire du Cancer de Toulouse in France. The institute's Professor Frédéric Courbon says its technology makes it possible to perform exams with increased PET sensitivity while lowering the PET injected tracer dose and acquisition time. "Combining this new generation of PET/CT system with Q.Clear allows us to obtain even better image quality with more accurate quantitative data," he says. Courbon has found that "the system is incredibly sensitive and that we have been able to reduce very significantly the dose of routine acquisition." Courbon says it's a patient safety issue. "Increasing sensitivity allows you to reduce the dose, which leads to reduced patient exposure. And this is, from my point of view, very, very important for young patients," he says. Thanks to the breakthroughs in medical oncology, treatment survival rate has increased. "Nowadays PET/CT is used for the follow-up, so the more you can reduce the dose, the better it is," Courbon adds. Because of all the attention and effort to reduce dose on the CT side, most departments are equipped with technology and procedures that allow them to perform exams at the lowest dose possible, the imaging experts agree. As a result, Siewko says, nuclear medicine is now the highest-dose diagnostic modality. "It's no longer CT," he says. That's why PET is where the industry's attention should start to focus, Siewko says. "The industry itself needs to have meetings and summits on how to reduce dose on the PET side as it has the CT side." As the ACR's Image Wisely campaign recommends, Morin says, the best way to reduce dose is to order and perform FDG PET/CT only when clinically indicated and use alternative nonionizing radiation imaging technologies such as ultrasound or MRI whenever possible. To reduce dose, the campaign also recommends physicians consider the use of PET/MRI in place of PET/CT for certain clinical applications and perform routine quality assurance and quality control of all their imaging instrumentation and optimization of their imaging protocols.